- AI virus no longer refuses to give up if having no chance in the endgame.. - Hourly energy refreshes automatically with no restart needed.. - Bishop training bug fixed. Hacker World War is a post-apocalyptic location-based strategy game where you are to save the world from the Artificial Intelligence virus.Conquer the whole planet, upgrade your digital army, develop your own virus, fight the enemy hackers, but above all unveil the truth!PLEASE NOTE: Knowledge of ch... see more Hacker World War is a post-apocalyptic location-based strategy game where you are to save the world from the Artificial Intelligence virus. Conquer the whole planet, upgrade your digital army, develop your own virus, fight the enemy hackers, but above all unveil the truth! PLEASE NOTE: Knowledge of chess is NOT required at all, but it can help. In order to play the game, you need a network connection and enabled location service. Hacker World War is a game where you need to think in order to win. You can (but you do NOT have to) also physically walk and this way infiltrate the enemy bases without spending in-game currency! Watch your progress on a real world map. 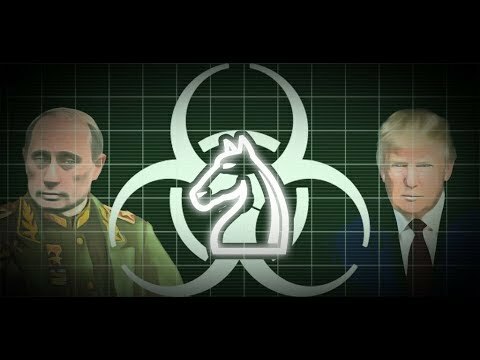 See how the enemy virus has spread and reconquer it by hacking into the infected systems (data nodes). Fight the enemy artificial intelligence in myriads of puzzle strategic games. Obtain and decrypt valuable data. Level up your digital army and beat the AI by both your skill and their special abilities! Create and upgrade your own virus! Expand fast! Collaborate with other players from your faction and download valuable data from them. Share your explored sectors and together reconquer the world much faster! Fight the enemy faction hackers by hacking into the systems controlled by their digital army. Enjoy the exciting story and unveil the truth in the end. Oh yes! This game has an end. But beware: it might take a while to conquer the whole planet.